Are you an art student? 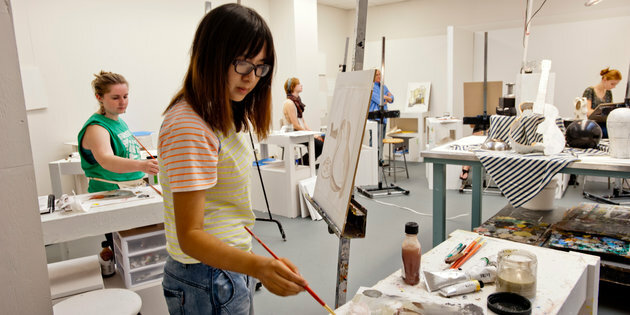 Does your high school subjects include observational drawing? Then, going through this article would help you extensively to improve your grades. Scoring high grades are one of the primary concerns of any student. Especially, it matters a lot when a subject like observational drawing has the greater importance of academic results. If same is the case with you too, then making efforts to improve skills can work wonders to your academic life. For this purpose, various drawing tutorial for beginners is available in the market, which can be taken into consideration for getting inspired from the same. Before heading towards making any payment to any tutorials or take classes, let us go through the tips that could help you for excelling observational drawing skills. As per the name suggests, observational drawing is all about making your heedfulness more powerful. This art involves the way how you look at the objects. Therefore, it is considered that drawing is at least 50% observation. When you look at the objects, you get an idea about the dimensions of it. When you adopt this practice, half of your work is done with just noting the appearance of the subject. Presuming what does the subject looks like, is one of the common mistakes students are committing. Rather, taking a glance on the object with every stroke you give to your piece of art results into the best creation. If you wish to become a realist painter in the near future, then taking shortcuts in drawing won’t lead you towards your aim. Replicating a subject to draw through trace papers is one of the life savior shortcuts for any student. Doing so would never serve you with the abilities to draw like a pro. Adopting a method to trace a picture on the paper involves minimal skill and performing this tactic would never help you to rise in your drawing career. Moreover, while sketching a portrait, if you trace it from a photograph, then outlines won’t be as perfect as desired and it would result in a horrible piece of art when painted. How we consider the appearance of the subject that has been sketched out on the paper is the perspective. It differs from person to person, and it is the main reason why the art of the same thing is different when drawn by varied people. While judging looks of the targeted object, what matters in it is the perspective. Objects at a distance look smaller than its exact appearance. Therefore, it becomes imperative to understand the point of view of it clearly before sketching the same. And it can be done efficiently by observing it keenly and figure out correct dimensions. If you find it difficult to understand it on your own, then you can take guidance from How-to-draw-academy.com, who is always up for the people who seek to master his drawing skills and provides step-by-step tutorials for the same. Any of the work won’t be done with perfection if performed with a lack of interest in it. In the same way, while endeavoring to create a realistic observational piece of art, then it is advisable to fall in love with your work thoroughly. When you insert your soul into what you draw, no one can stop you from crafting it proficiently. Apart from these tips, one of the best things one can do is involve into more and more practice before you adopt skills to perfect your observational drawings. Especially, if there’s a particular drawing ability where you often get stuck and strive to amend it, then just make attempts to achieve your goal, and finally, you would achieve your desired outcome for sure.